Our client was tasked to install new plumbing lines as part of a building renovation. This task involved drilling cores through each floor of the building. 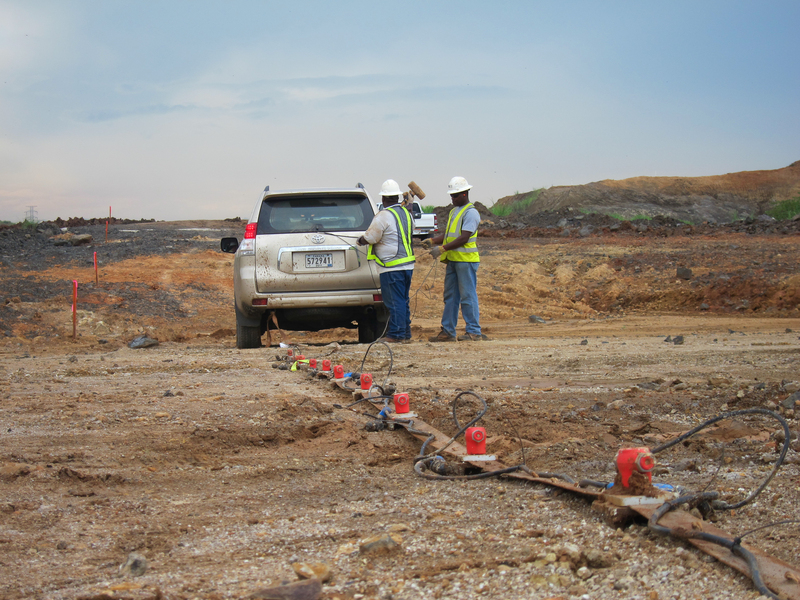 Geoview was contracted to locate the rebar and post tension cables to determine safe coring locations. 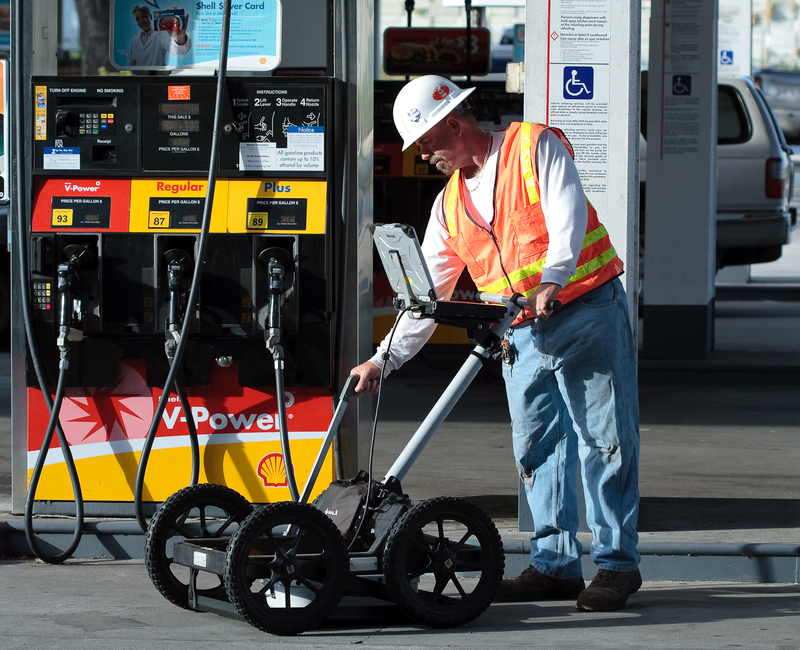 The geophysical investigation was conducted using Mala and GSSI Structure Scan ground penetrating radar (GPR) systems. On site testing determined that 1600 Megahertz and 2600 Megahertz antennas provided the best resolution of the radar data while also allowing the GPR to image the entire depth of the 8 inch concrete floor. Both 2-dimensional and 3-dimensional data was collected at the site. The locations of the rebar were verified using a Profometer Meter. 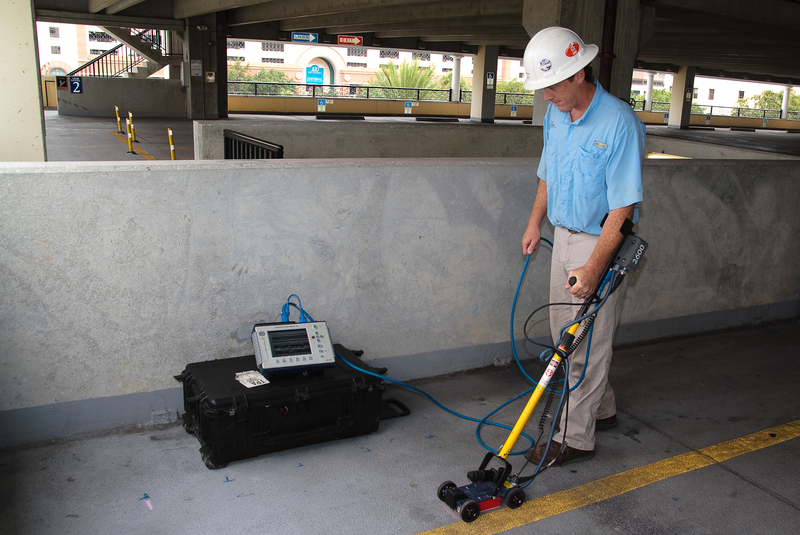 The GPR survey was conducted on ten floors. The GPR data showed the rebar was located in an orthogonal grid, with the rebar spaced 4 to 12 inches apart. The post tension cables were located between support columns. The centers of the proposed safe coring locations were marked on the surface of the concrete. 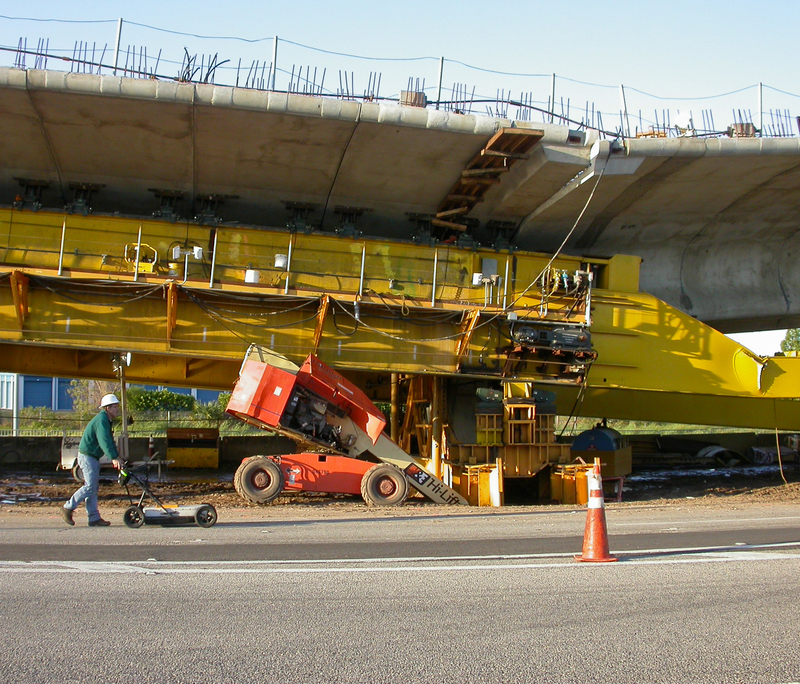 As a result of the GPR survey, no rebar or post tensioning cables were cut during the coring activity.